To buy a real estate in Spain is a dream of many people, however not everyone has an opportunity to pay all amount at once. In this case the mortgage question arises. Spanish banks are ready to provide a mortgage loan for the purchase or constructions of a real estate object (providing mortgage for a real estate or a plot) until 50% for not Spanish residents. To buy a real estate in Spain is a dream of many people, however not everyone has an opportunity to pay all amount at once. In this case the mortgage question arises. Spanish banks are ready to provide a mortgage loan for the purchase or constructions of a real estate object (providing mortgage for a real estate or a plot) until 50% for not Spanish residents. To get a mortgage for more than 60% is almost impossible, no matter what real estate agents and bank commercials promise you. The mortgage period is usually from 5 till 25 years with annual rate of 5% - 6% for foreigners not living on the territory of Spain. Bank commercials who promise you 2%-3% rate are only for Spanish residents. Moreover, rate can vary according to your paying abilities and the EURIBOR rate. In case of exceeding the time limit of payment the bank can increase the rate as a punitive measure. Dates and time limits of mortgage payments are fixed by notary in a special document and a note in the government register is made. While signing the deal at notary the bank transfers the whole mortgage amount on the account of seller, not buyer as many people tend to think. Afterwards in previously established time frames the bank starts charging the buyer account monthly and the charged amount cannot be bigger than 25% of monthly income of the buyer. As a guarantee for bank can be a document signed by the second spouse. This way you guarantee the bank that in case one of family members won’t be able to pay, the second one will secure it. There is a possibility to sell Spanish real estate before paying off all loan in other words with the mortgage. This kind of real estate purchase in Spain is much easier and faster. Every case of mortgage loan in Spain is studied individually. The period for taking a decision of providing a loan usually takes from 3 till 6 months. Which factors are most important for the bank? Obviously your financial situation, income and age. At the same time of opening an account you have to translate all documents in Spanish by a legal interpreter. 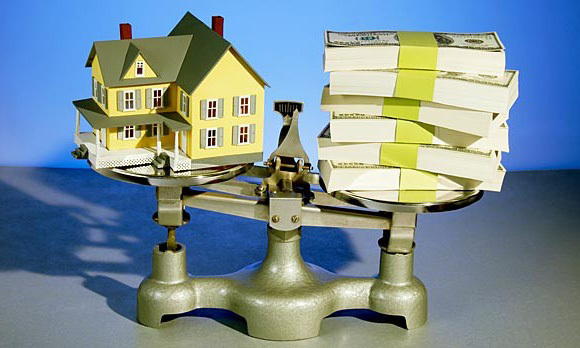 A bank employee from an assessment department evaluates the price of the house or the apartment you are buying. Handing in all papers in the bank office which has to prepare the written resolution or to send your requirement with all documents attached to the central office. The positive or the negative decision about loan providing for the central bank office. In case if the bank agrees to provide you the required amount, you sign the mortgage agreement and a bill of sale at notary. The tax payment by the buyer (12 – 13% of the property price): the government tax 105 of the price, the bank commission for the provided loan 1 – 1,5%, notary commission for the purchase and sale contract conduction and registration in the real estate register. the income papers for the last 12 months, it is also advisable to attach the one for the whole last year. the extract from the private bank account for the last 12 months where it is possible to see regular money inflows. They can be less than the amount indicated in your income documents since many Russian workers get salary in cash. In some cases it is enough to demonstrate the amount on your account for the moment. the official paper from the employer on the company blank with all employee details: first name and last name, the position in the company, salary, years of work and the company field of activity. Longer period of working is accepted better. in case if you a businessman, then you have to present documents of your enterprise registration where your details are indicated. in case of having a bank deposit you have to present a document from the bank confirming it. confirmation of a real estate ownership in your country with indicated space in square meters and a not about no debt what demonstrates a person’s financial stability. Spanish banks trust more in state documents that is why it is highly important for papers to have a state stamp. After finishing all necessary procedures you can enter your new house and enjoy your life in Spain. Good luck!